Loneliness. It’s a feeling that just about everyone is familiar with. I’m sure we’ve all had a time where we’re just feeling lonely and wish we had someone to talk to. For some people, particularly seniors, this feeling is a way of life. According to the 2014 U.S. Census, 34 percent of people aged 65 or older live alone. There are many people in this world that do not have close family or a support system in place. In this case, living alone can become incredibly difficult when there are no friends or family to reach out to. Loneliness is a risk factor in seniors that may cause illness, depression or even death. In a previous blog post, we discussed ways to fight senior loneliness. One major component of this prevention is communication—whether it is to call your loved one or pay them a visit. But what about those without that support system? With today’s ever-growing technology, email and Facebook correspondence is often recommended to connect lonely seniors with the world. But, technology isn’t everyone’s cup of tea; some simply don't want to use it or cannot afford it. 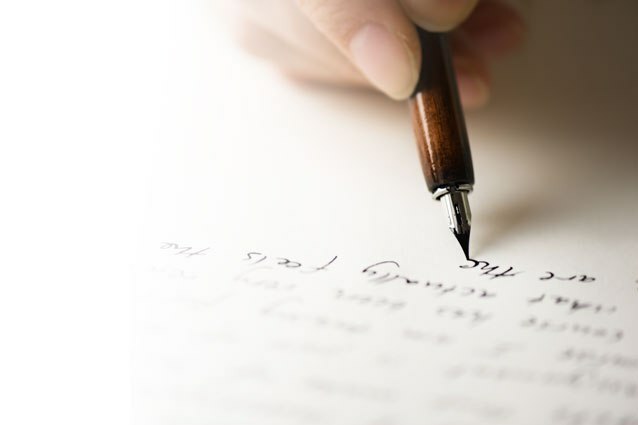 Fortunately, there is one timeless form of communication that has lost popularity among the new technologies coming out everyday: writing letters. Imagine you walk up to your mailbox, grab the mail out and see a handwritten letter addressed to you. Your interest is instantly piqued. When you open it up you realize that someone wrote you a letter just to catch up and see how you are doing. They could have sent you a text or a Facebook message, but you feel touched to know they took the time to handwrite you a message. The handwritten message has been greatly underrated in past years, but can create a great sense of care and belonging for many people. 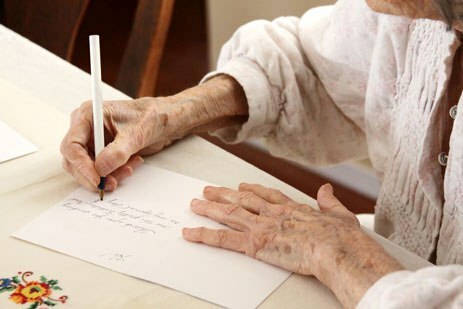 Handwriting letters also allows the person you are communicating with to get a unique sense of who you are— from your handwriting to the way you emphasize certain words on paper. There are many ways to start writing to a pen pal. 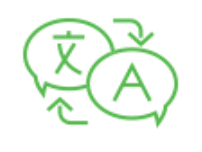 Resources are available within both your community and on the internet. Additionally, there is an organization designed specifically to aid lonely seniors called Pen Pals for Seniors. This organization was created after the founder, Marlene Brooks, received a note from her neighbor saying "Would you consider to become my friend. I'm 90 years old— live alone and all my friends have passed away. I am so lonesome and scared. Please— I pray for someone." After receiving this note and realizing the amplitude of the issue of senior loneliness and isolation, Ms. Brooks created a Facebook group called Pen Pals for Seniors, which matched participants who wanted to correspond with a pen pal through mail. In addition to the Facebook page, Pen Pals for Seniors offers a senior request form that can be filled and mailed in that will match you to a pen pal. If you know someone who is a senior who would benefit from this program, you can complete the form on their behalf, or the individual can fill it out themselves. Another great way to find a pen pal is to ask for assistance within your community. Whether you are a volunteer or a resident, contact your local retirement community life director. These community life directors will often know which residents may benefit from a pen pal or could match you with a volunteer eager to correspond with you. It’s nice to make your acquaintance! I was able to connect with you from Sally, the community life director at your community! I’m writing in hopes to make a new friend. How has your week been? What activities do you enjoy? My name is Emily. I am 22 years old, I love to fish, write and spend time with my two cats. Their names are Stella and Cam. I also love to watch all kinds of movies. Have you seen any good ones lately, or recommend any films that are a must-see? I hope you have a wonderful week! I look forward to hearing from you! This sample letter includes multiple questions that will prompt a response. By asking these questions, the respondent will not have to come up with random topics out of thin air and will be more likely to strike up a conversation based on any mutual ground you may stand on. Keep the communication light and friendly to start. As you form a relationship with your pen pal, you will be able to better navigate the types of conversation he or she feels comfortable having. Unfortunately, there are people in this world that will take advantage of those who are vulnerable and trustworthy. When starting a relationship with a pen pal, it is important to keep your important personal and financial information to yourself. Even if you have built a long relationship with a pen pal, never fulfill a request for any personal or financial information. It is very important to proceed with caution when you connect with anyone you do not know. Even if they seem to be the most trustworthy of people, you could be being scammed. Someone who cares about you will never ask you for specific details like your banking information, social security number, etc. Keep your conversations to things like talking about your favorite activities or common interests. Senior loneliness and isolation are serious matters. There are many ways to help prevent loneliness while staying safe. For more information on how to stay healthy during your senior years, download our eBook!